Over the years we’ve stocked many different ranges of cool coat; the Animate range, on which we’ve now settled, offers easily the best value. Keep your dog cool on the sunniest of days! From the left: 16” on a big Jack Russell; 24” on a lab; Rhiannon; Hollie; 12” on a jackahuahua; 20” on a bassett. Jackahuahua Peanut and labrador Lola in their 12” (30cms) and 24” (60cms) cool coats. 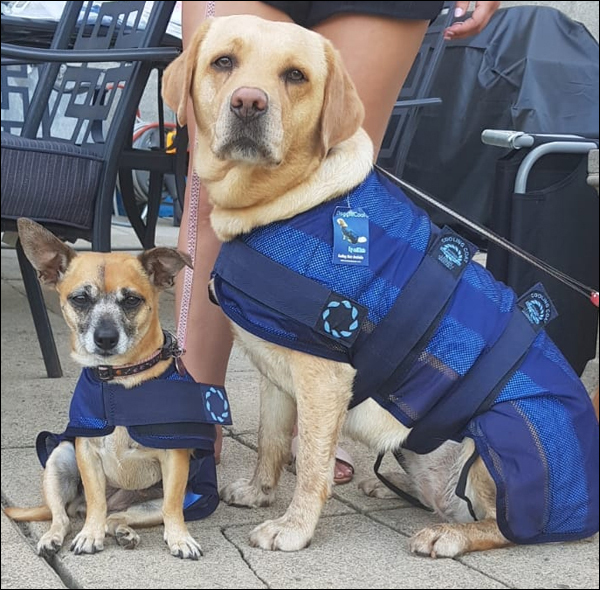 Designed with the single objective of keeping your dog cool however hot it gets, these coats are brilliant for use before, during and after all outdoor activities – walking… obedience… agility… showing… sailing… car travel… even when you’re sun bathing and the dog’s laying out alongside you. And indoors on those hot, muggy, summer evenings and nights. 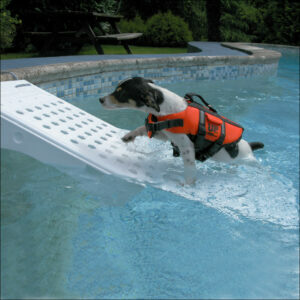 You’ll be amazed how the cooling dog coat helps keep your dog cool in a wide range of circumstances and situations. The design and shape of the coat has been well thought through (by a dog owner!) to make sure that it fits all breeds of dogs. The adjustable velcro fastening tabs are simple, secure and comfortable. 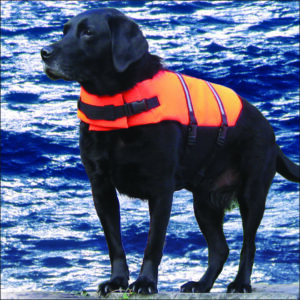 On all sizes there’s one tab which fastens around the front of the dog’s chest. Under the body, the 8”, 12” and 16” have one fastening tab whilst the 20”, 24” and 28” have two. 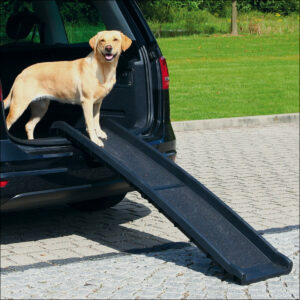 To help hold the coat out along the length of your dog there are also elastic straps to go around your dog’s rear legs. The coats are available in a comprehensive range of six sizes, the absorbent synthetic, microporous material of the coats – which is activated by water. – and complemented with a netting outer lining. 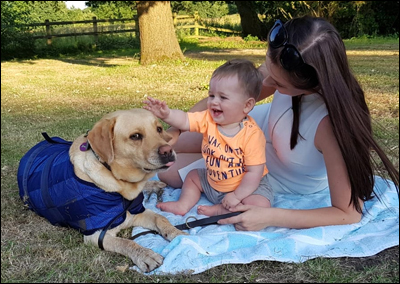 As it puts moisture into the dog’s coat, the capillary action of the microporous material draws the heat from the dog and – without wetting its coat – the controlled evaporation actually cools the dog more than the outdoor air. 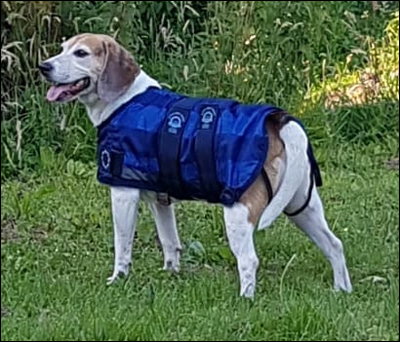 In circumstances where the dog has become overheated, perhaps by unintended extended exposure to sunlight or through vigorous activity, the coat may reduce its temperature to normal within 10 minutes – a claim tested and verified with a thermo imager. 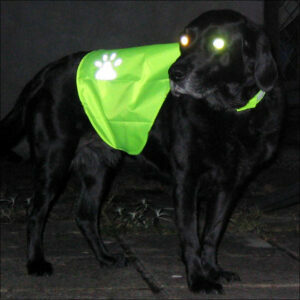 These cooling dog coats are simple to activate. Before use, the unique material of the coat is naturally stiff when dry; when soaked it becomes soft and supple. Soak the dry coat in cool water for a minute or two (no refrigeration necessary), lightly ring it out and place on your dog. That’s it! The material is super absorbent, absorbing six times faster and holding 100% more water than any other material. It’s lightweight, breathable, durable, comfortable, doesn’t drip and is manufactured with a high ‘environmentally friendly’ factor. Looks good from the other end too! The coat will keep your dog cool for up to four hours at temperatures up to 30 degrees c (that’s serious heat!) – and very much longer on a normal UK summer’s day. When the coat does dry out, all that’s needed to reactivate it is more water. The unique material of the coat will expand by perhaps an inch (2.5cms) all around when wet. When testing for size, please try the coat on dry. Once wet, we are unable to refund or exchange coats. It is recommended that the coat is air-dried between uses and can be stored in its bag that is provided, which can also be used to carry around the coat when wet. The coat is not affected by mould or mildew and, if required, is machine washable at maximum 30 degrees c, using non-biological powder. 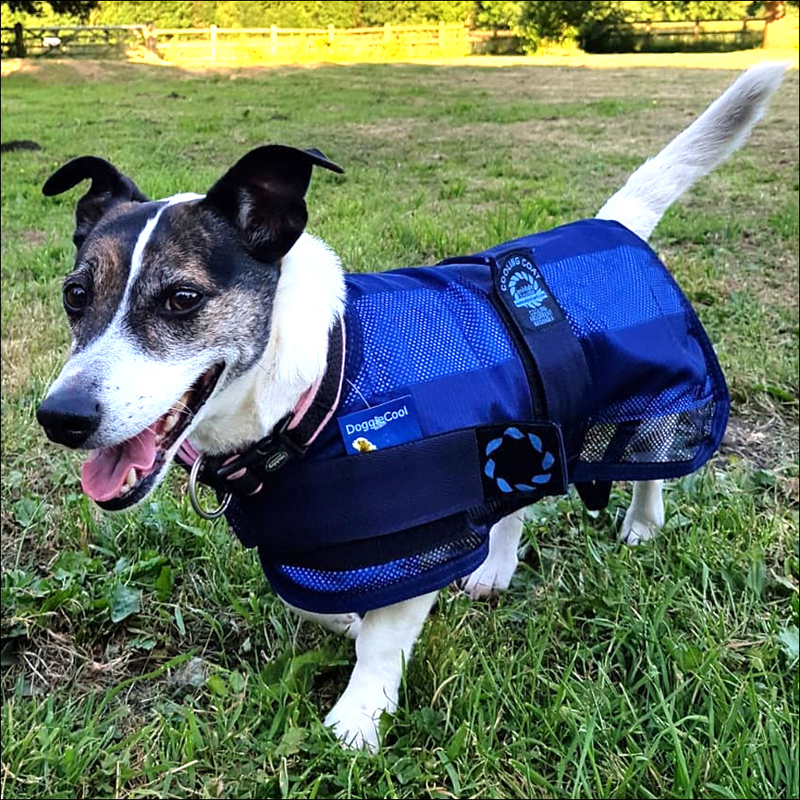 Cooling dog coats are particularly useful for dogs with illnesses that cause breathing difficulties in the heat. The coat helps to prevent panting and moderate the dog’s breathing, as a result relieving stress. Quest in his 28” Cool Coat. 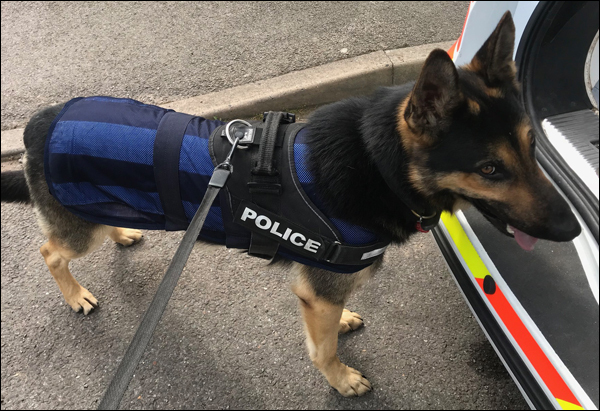 As you can see from the photo alongside, these cool coats are supplied to various government agencies – Quest is a member of Gloucestershire Police. The coats are also used by many other government agencies, besides increasing civilian use by the general public for flyball teams, obedience, agility and training, and also incorporated in the regime of many top show dogs. You won’t be surprised to learn that many people think that cooling a dog is easy – and certainly doesn’t require much, if any expenditure. Sadly, they’re wrong. 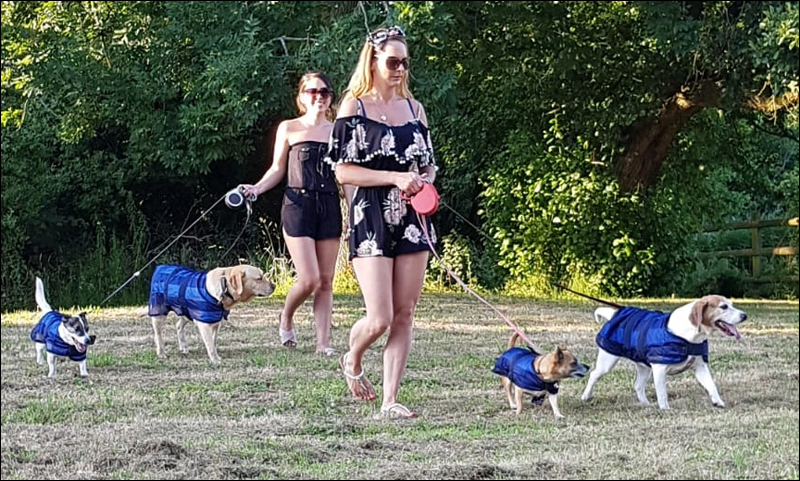 The material used in these cooling dog coats is totally different from any other dog coat on the market. There are coats using similar materials available (usually at similar or higher prices), but none use the fabric used in these coats. Inferior coats may: dry out too quickly; not hold sufficient water; when dry become brittle and crack; be neither durable nor comfortable when worn. Some may even make the dog wet (adding to the problem). The key to the product is the material – and the material used in these coats is unique to Animate! Rather than using a super-absorbant material, some competing coats use a process involving water-retaining crystals, sometimes stored in cumbersome packs which are inserted into the coat. These coats can be heavy. And the crystals can be poisonous. No other manufacturer has a range of sizes as wide as ours – we have eight sizes, our competitors have three, four or five. The closer the size, the better the fit. This is the highly-absorbant type of cloth you’d use to wash the car. Because when wet it has the ‘feel’ of the material used in Keep Cool coats people think it has similar ‘cooling’ qualities. It doesn’t. Chamois is a natural material; laying it on a hot dog will cause the dog to get hotter. This will create more problems than it solves. After briefly cooling the dog, the heat of the dog is then trapped under the wet towel. The water in the towel becomes heated – reflecting heat back into the dog. After initially cooling the dog, the water in the coat is heated by the dog – and creates a cycle of reheating the dog. Do the wise thing – spend a little money on the best coat on the market: get a cool coat!